At University Credit Union, we take ID theft very seriously. As a key benefit of our Smart and Crimson checking accounts, we offer evado|PROTECT Plus for free. It’s also available at a discounted rate with our eChecking account. Researching and remediating fraudulent activity with creditors, banks, utility companies, leasing agents, medical facilities, etc. Expense Reimbursement Insurance to cover out-of-pocket recovery-related expenses. Lost Document Replacement services to assist in replacing lost or stolen cards/documents in the event of an identity theft incident. 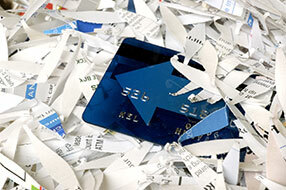 Entitlement to Single-Bureau Credit Monitoring to help you stay informed of changes to your credit file.